1stGen.org • View topic - Zero Buck Mods! 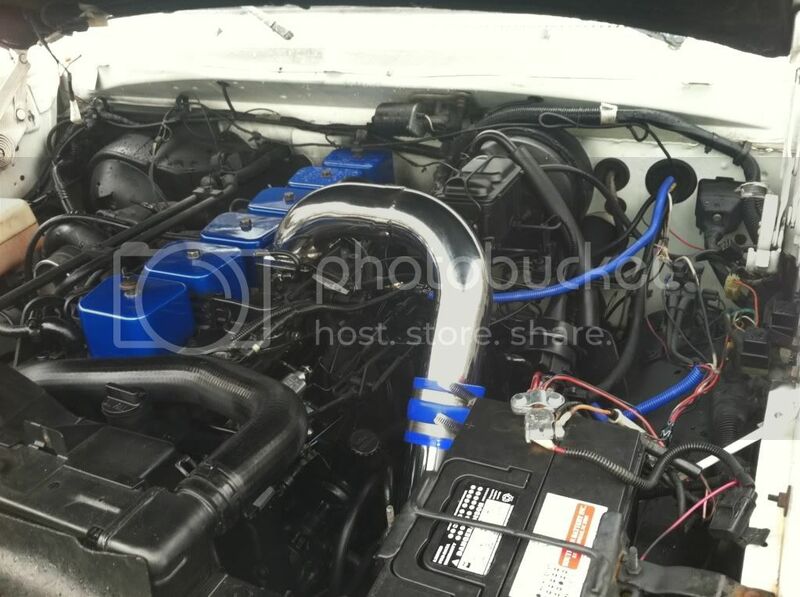 NON IC air intake pipe ported by the turbo coupling. Great if your turbo has a bigger outlet than the pipe (HX35/WH1C turbo) I just used a die grinder and then polished with a cylindrical sanding piece with the die grinder. Banjo bolts that hold the fuel lines to the head casting by the fuel filter can be drilled to 3/16". This makes a HUGE difference. I gained another 700+ RPMs of full fueling! Also, there's a pressure port on the outlet banjo (10MM bolt)-take it out and grind it down until the step in the bolt is gone. As is, it blocks roughly 40% of two of the banjo bolt ports! Lets keep it COST FREE!!!!! SUNY Maritime Class of 2017! Just noting which ones made the most difference in my personal truck. Removing the high idle screw and getting the slack out of the cable made it a different animal! Yeah, I was doing the filter and lift pump today and saw that and figured why not! So glad i did that. Roasting those bald 235s away! The throttle linkage can be moved to the upper hole for increased throttle travel. 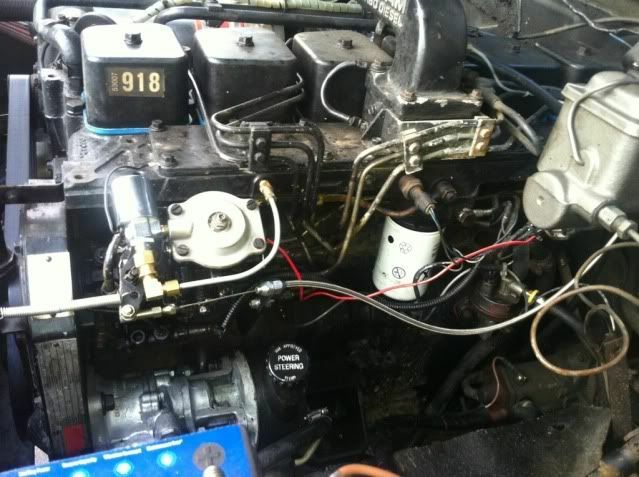 The high idle stop can be ground off the throttle linkage, where it would contact the pump at wot. This sometimes requires grinding the other side of the linkage where it might contact the IP fuel inlet line. I just used a sidegrinder and pair of vicegrips for this mod. 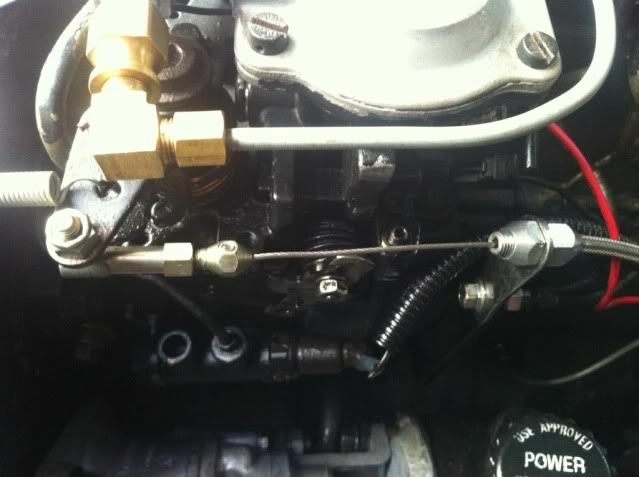 On my truck the throttle linkage hits the inlet line to the IP before it hits anything else. I guess I could have hacked all that off, but just moving that far was pretty impressive to me. I ground the whole top left corner off, left the low idle stop of course. 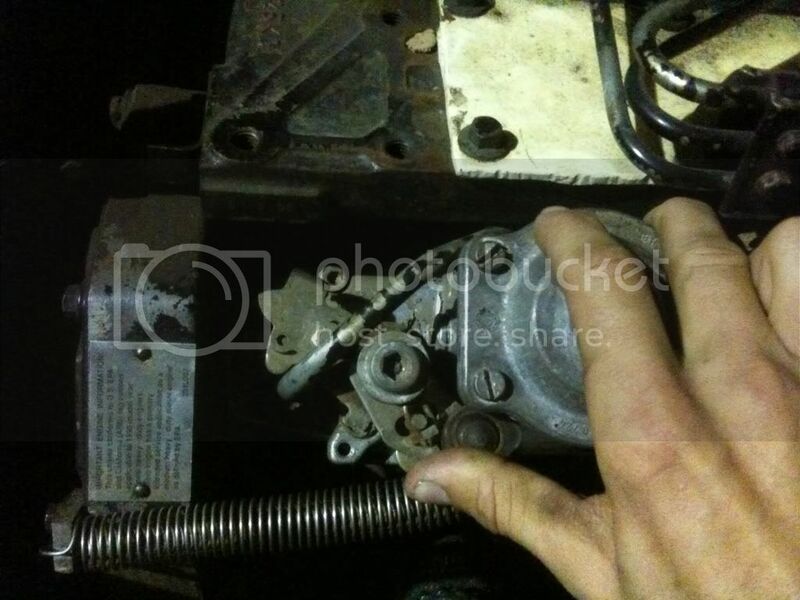 Just beware of the little hook underneath where the return spring on the throttle shaft hooks to when grinding on it. I'd say this is an equal gain in RPMs to the 3200 spring. I really noticed th increased RPMs when I did this. I may have to try that banjo bolt "porting". Well with the screw delete and the 3200 spring it is more like 3500 rpms (getting a tach soon) all I know is it sounds like a Detroit diesel when I flip the valet switch and do a hard 4th gear pull. Here's yesterday: I consider this a zero buck mod for me because I got the lokar cable for free. Now I get even more throttle travel and gets rid of all the clunky brackets for the throttle (mines a 5 speed so I don't need the kickdown). Just need to clean up the wiring and spritz some black on the area that was covered by the throttle bracket. m880cummins wrote: Well with the screw delete and the 3200 spring it is more like 3500 rpms (getting a tach soon) all I know is it sounds like a Detroit diesel when I flip the valet switch and do a hard 4th gear pull. 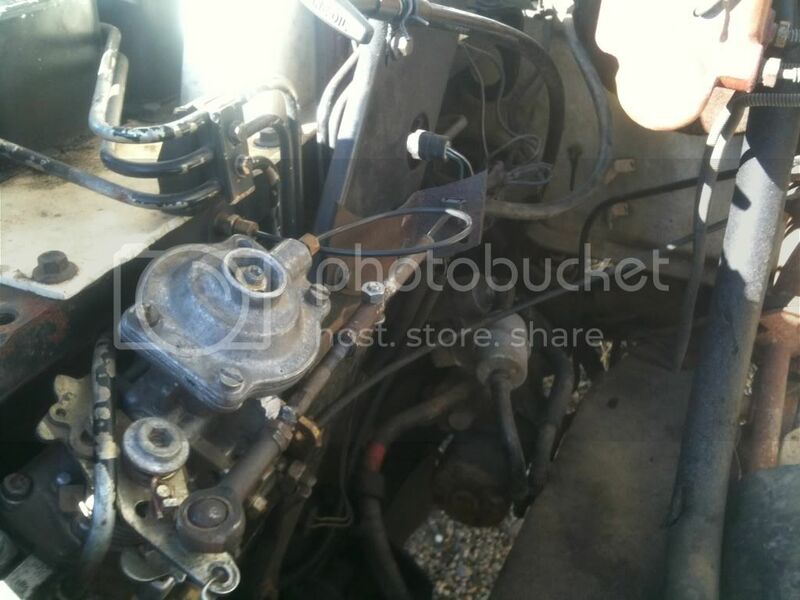 91 4x4 with the 727, has the factory tach! Valet switch, cuts boost to the AFC housing to conserve fuel. Allegedly. I can still burn a ton of it with mine off. I have a square solenoid I got from Graingers. Never seen a round one, looks close to the throttle stuff. Clears the throttle stuff by about 3/16" I gain a few mpg with it off and only get 25psi max with it off. On is a whole different story....50lbs and lots of smoke and squealing tires. what's the proper way to adjust the TV cable? Considering the amount of fabbing, I'd just as soon leave the throttle linkage alone, but if you find yourself with an afternoon and the parts to do it it's a pretty cool mod. A little easier to control the smoke your truck puts out, since the factory linkage isn't doing any weird swiveling or anything like that.